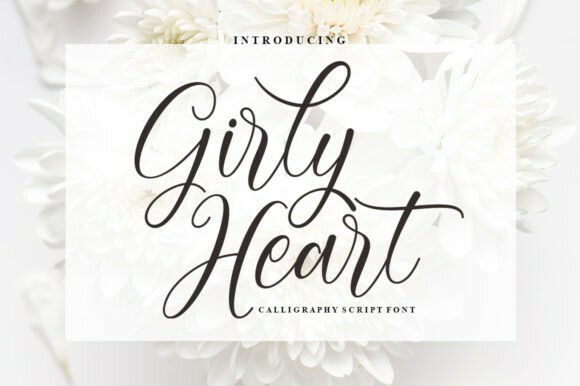 Girly Heart Font is a sweet hand-lettered font. It has a casual, yet dynamic look and a dancing baseline. It can be use to add an authentic look to your logos, branding, greeting cards, quotes, wedding stationary, and much more!